Bounce rate comes under the purview of gateway metrics. 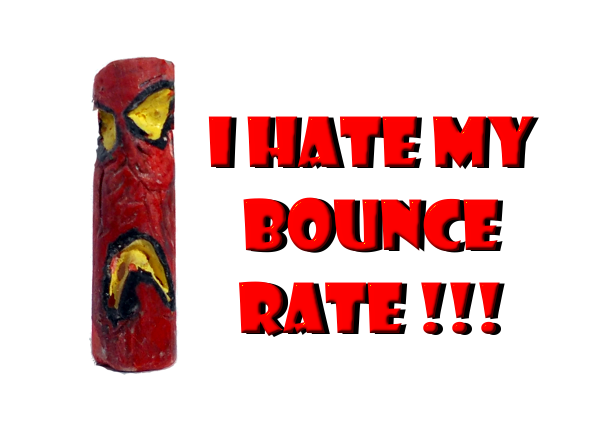 Also your bounce rate may not be the perfect indication of the health of your website. Traditionally it is incurred that, a visitor who leaves your website has done nothing or learnt nothing from the page and hence your troubles were worth nothing. "Modern theory dictates that it is possible that the user/visitor got what he/she wanted from the search and happily closed the tab." 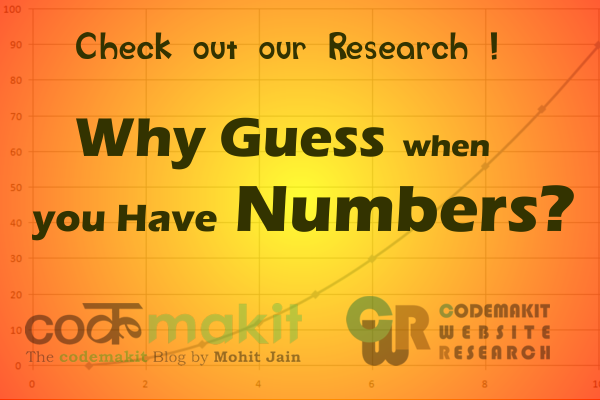 Like for example, you as a visitor visited the page on codemakit.com to know more about bounce rate. Your curiosity or question was fulfilled properly and you will happily move on to another topic like bounce rate calculation or Is your bounce rate normal? and 4 sureshot ways of improving them. One possibility which cannot be ignored is that the website converted the user’s action but it was not registered by the analytics. Another reason why bounce rate does not truly measure your site’s performance is because it fails to address the situation of unloaded page. Suppose your website came up in Google search results for a particular keyword. The visitor clicked on the link and landed on your page, but as luck would have it, the page didn't load (due to n number of conditions including your bandwidth) now the user waits and waits until he/she finally gives up (Find out how to find your page load time and reduce it) so the tab is cancelled (or back is pressed in the browser) and the user goes back to the search engine to find out another alternative. Now in this situation your bounce rate is calculated as the server request which was given but data was not sent in the required time so it will be counted as a bounce. Search engine watch came up with some 20 odd points to reduce bounces . Similarly another reason is that bounce rate is domain dependent, if your user goes from your domain to another, even if it’s yours, it will be counted as a bounce. For example, you created a spending article and a user lands on it. The visitor reads it with avid interest and finds two more articles of his interest. In enthusiasm he/she decides that your Facebook page is worth liking, so he clicks on the small Facebook logo displayed your site and leaves your page to land on your Facebook page. Theoretically it was a converted action which will be of an advantage to you. But technically it is a bounce and would be calculated as such. Just in conjunction to the above point one must know that there are several types of codes which if executed would be counted as a bounce. Examples are watching an embedded video from YouTube, or clicking the Facebook page through the activity widget. If you find your bounce rate is exceptionally low and you think it is a mistake, then you must understand that bounce rate might also be low due to the type of your website. Read all about the different bounce rates for different websites like ecommerce, retail, blog, news, podcasts and many more. One of the mails that I received during last summer asked me a question that left me thoroughly puzzled. The dude had a website to sell Flower Vases. Which had beautiful pictures of flower vases, If the user liked it, he can buy online. 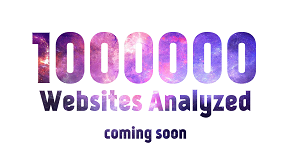 The website went public just 3 months ago and he reported that he was now getting about 50 to 60 page views per day and 2-3 sales in a week, but had some serious problems with Google analytics. Now he reported that average page view time neared to less than a second and bounce rate was nearing 97%. Obviously the figures show the really bad shape of his website. But what surprised me even more was that the website was perfectly fine. The design was awesome and functionally also it looked great. So what was the problem? Both of us were perplexed until I found out the article by Kevin Spence. Kevin argues that there are two possible explanations, either the viewer has the reflexes of a cheetah or it is something related to bounce rate. First is when the visitor enters the site and is logged. Then the visitor moves through the pages to find something he/she likes (This is also logged). According to Kevin, the time spent by the user on a website is calculated as the difference of current time during current page view and the time stamp from the previous page view. Now one thing is for sure, when you do this for the first page user lands on, the time calculated would be zero. In simple words, when you have not visited a previous page of a website and are leaving the page just a after viewing the first page of the website, the time spent on the website would be calculated as zero. In my flower vase friend mentioned above, had a serious flaw which is present in every online sale website. There is a list of products right on the first page itself. If the user wants to know more, he just has to scroll down and the items would load accordingly, In this case if the user does not like the contents during few scrolls, she would just leave. This would be counted as a bounce even if she spent an hour of her life watching the beautiful vases trying to make up her mind for a purchase. It is here that we found that bounce rate is a figure not to be relied upon. Just as Kevin says, "accept bounce rate as a fact of life." Inspite of these, bounce rate is gaining popularity worldwide because of the ability to correlate the bounce rate with other metrics like conversion rate. But codemakit’s verdict, bounce rate to be used singularly without correlation is a great waste of time because the technology for measuring it is still in an infant stage.